*Brands are subject to availability and change | If thebrand of alcohol mentioned is not available, a similar or better brand will beprovided. 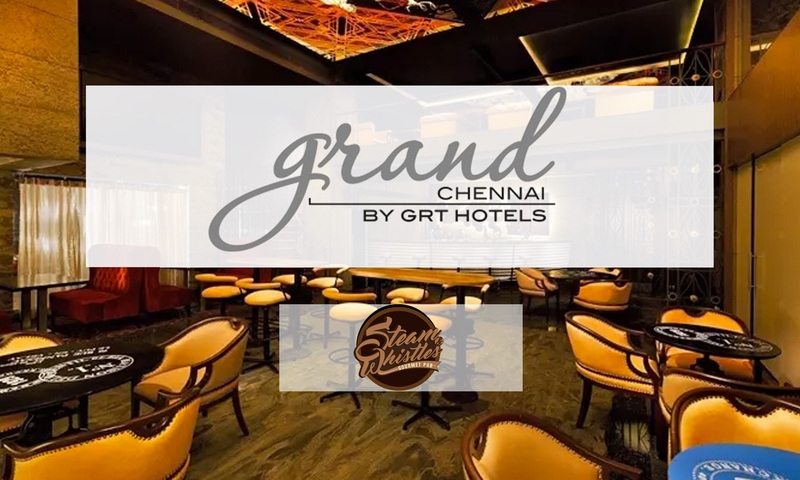 Inspired from the pubs of 1920s San Francisco, Steam & Whistles is set within the Grand by GRT Hotels, in T. Nagar. 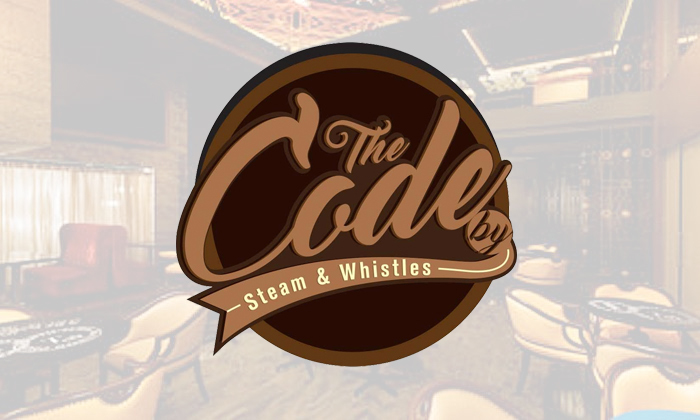 Visit Steam & Whistles and you will be stepping into a time capsule. The bar lounge offers a range of domestic and imported wines and spirits, and an assorted selection of bar snacks. Featuring elegant décor and luxurious seating arrangement you are sure to enjoy your time here while sipping on your favorite drink.